Azure Bot Service and Language Understanding will allow developers to build and deploy more intuitive chatbots. Microsoft is giving enterprise developers the tools they need build business-friendly AI chatbots that will work across a variety of platforms. The company has announced the general availability of two key cloud services, Azure Bot Service and Language Understanding (LUIS), that are a part of its AI-powered Microsoft Cognitive Services. By combining these two services, enterprise developers will be able to create and deploy intelligent conversational apps that work across Microsoft's own apps and on a large variety of social media platforms as well. Azure Bot Service can be utilised to create conversational interfaces for websites, apps and messaging platforms or in Microsoft's own terms “channels.” Developers will not have to adapt their code for each platform and their chatbots will work across the company's own apps and third-party apps such as Slack and Facebook Messenger. Microsoft has added new Premium Channels that will allow customers to communicate directly with users of their website or app and they will no longer need to share information with public chat services. Open-source software can also be accessed to help developers better customise their chatbots. LUIS will allow developers to create more intuitive bots that can accept natural language input and even figure out what a user means. Developers well-versed data science can also use the service to create custom models designed around specific verticals to build AI chatbots that better suit the needs of their organisation's business objectives and workflows. 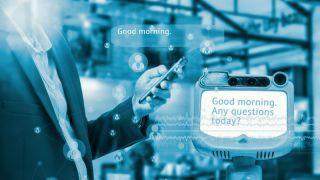 Expect to see more businesses utilising chatbots on their websites and apps now that Microsoft has put these services in the hands of enterprise developers.